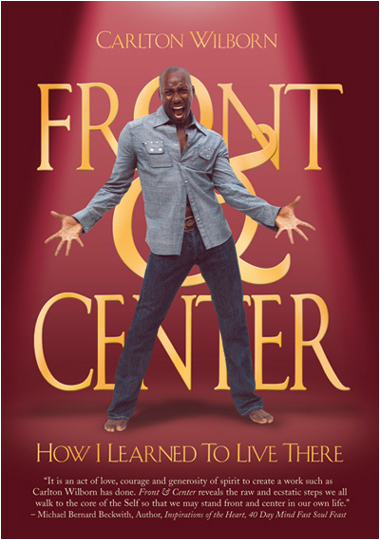 Embrace this walk "Front and Center"
This is Carlton Wilborn's body, mind and soul-enriching process, that targets and unhinges your dark and lodged stories, so you can have a healing, lasting transformation and thrive with increasing peace, joy and power. 3 Key Tips To Living Empowered Now! "He has a hands-on approach to the Universal Laws of Success and how to apply them. His ability to address the true issues with heart and soul were impeccable! He truly is a treasure and we were blessed by An Evening with Carlton. His authentic style and grace in illustrating his point was inspiring!The audience was in a state of rapt attention as he shared his journey." Visit our Customer Service Center for policies pertaining to this website. Photographs of Carlton: Copyright © 2010 Michael Higgins l Website Design: Copyright © 2010 WebDBD, Inc. All rights reserved.